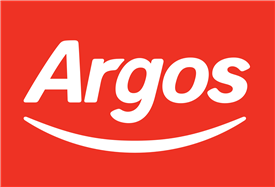 Argos is a unique, multi-channel retailer, recognised for choice, value and convenience. We’re a unique employer too. Some 34,000 people have jobs at Argos. And anyone who shares our vision can make a career with Argos too. We sell general merchandise and products for the home. We serve over 135 million customers a year through more than 750 stores throughout the UK and Republic of Ireland. We take another 6 million customer orders online and over the phone. On average, 18 million UK households, or around two thirds of the population, have an Argos catalogue at home at any time. Within time we expect to exceed 800 stores. We are the most visited multi channel retailer website and our investment in new technology – including the Apple iPhone app – is helping bring our unrivalled confidence and value based approach to customers, whether they are shopping at home or on the move. Argos is part of Home Retail Group, which includes Homebase and Habitat. When you apply for a job at Argos, or start to build a management career with us, you’re joining the UK’s leading home and general merchandise retailer. Get the latest jobs from Argos sent direct to your inbox!